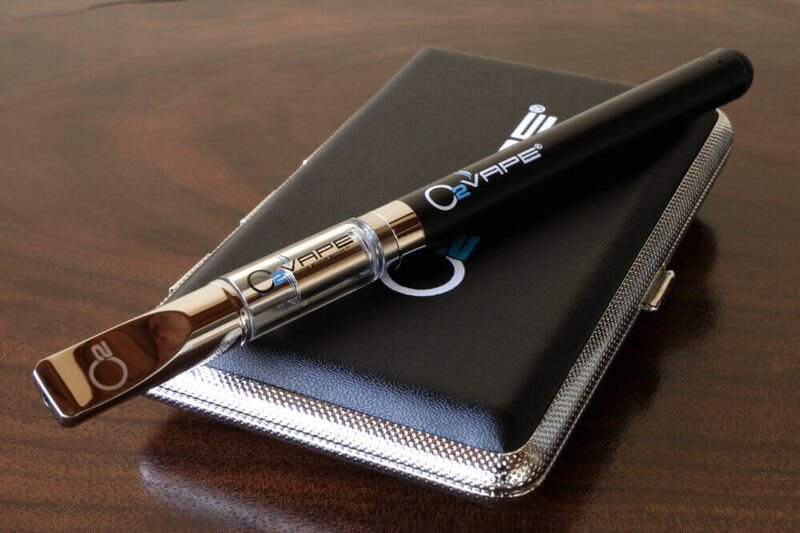 The O2VAPE Slim Pack with the ORIGINAL buttonless vape pen is perfect for traveling or a night on the town. It’s available in your choice of Black, Steel, White or Gray and comes with an upgraded, sleek, .5ml glass cartridge. Get the best puff off the best looking oil vape pen out there, every time. The slim carrying case allows for storage in virtually any purse or pocket while keeping the O2VAPE pen clean. 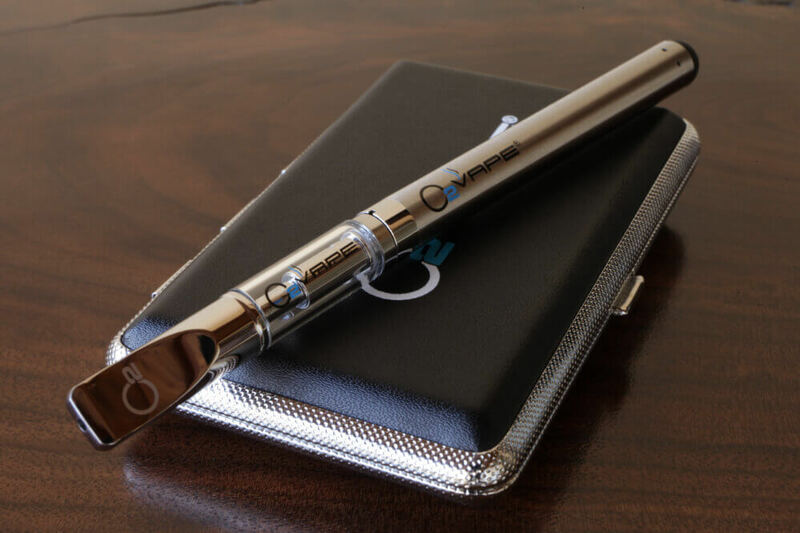 Our vape pen has a sleek, buttonless design with a stylus at the end, making it even more versatile. Get the simplest usability out there with its auto draw design. Perfect for simple operation and minimal instructions. No Buttons – You’re looking at the ORIGINAL buttonless vape pen. No more clicking buttons to turn your vape on and off. No tuning dials. No Confusion. Just charge it, screw on your 510 thread cartridge and draw for simple operation. Once you have reached the perfect puff it turns off until the next puff. 300 to 400 Perfect Puffs per Cartridge – the draw limit helps your cartridge last a little longer and the 3.3 volt works perfectly with our .5ml glass cartridge. We don’t recommend using a ceramic cell cartridge since they generally need a little more power. 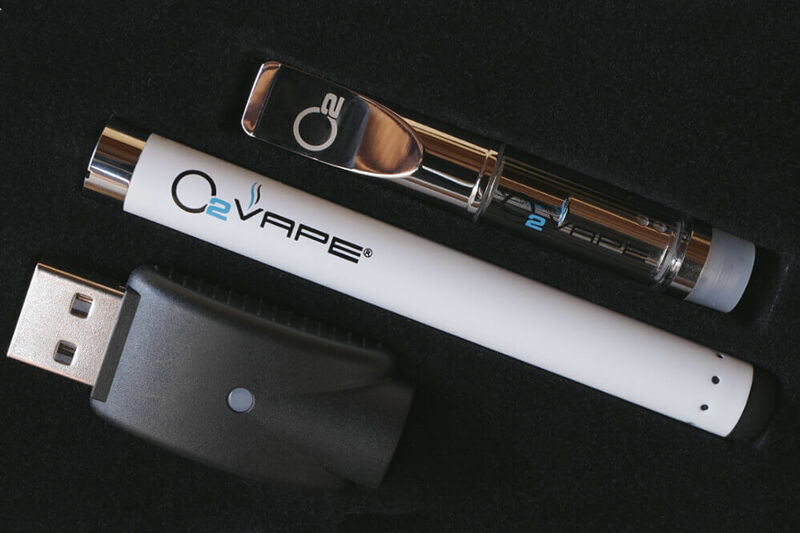 If you’re using a ceramic cell cartridge, we recommend the 3.7 volt buttonless oil vape kit. Revolutionary Vape Atomizer – Our glass wicked atomizer is different from traditional atomizers with NO buttons, burning taste, leakage, or wait time to heat up. These cartridges are matched for peak performance with the O2VAPE auto draw stylus vape, check the customer reviews on them to see. You won’t find any cheap or leaky cartridges at O2VAPE, we pride ourselves on the quality of these products. Our vaporizer pen is also open source meaning it can be used with most 510 thread batteries and a variety of oils. I agree with Laura, adding, no button to push. I ordered the stainless steel pen online because I couldn’t find it anywhere local and I really wanted to support not only a Michigan business but also one owned by a veteran. 24 hours after placing my order, it was in my mailbox. Awesome pen, nice case, very happy customer! Thank you so much Lynn! Happy you like it ! I got the stainless steel 02Vape Pen and I have actually stopped smoking those nasty,stinking cigarettes that I was hooked on since I was 12yrs old (I’m 62 now). This pen is so well made and so easy to use, no buttons, no dials etc…and its so smooth,easy to fill and it comes with a nice case to carry it in.I thought I would never be able to quit smoking cigarettes, & I tried several other vape pens that were bad tasting, leaky & they just didn’t work for me. Then I saw the 02Vape Pens & the stainless steel pen was and is the one that did it for me. I’m sure these products can do the same for others trying to quit those nasty, stinking cigarettes so give them a try, and you’ll be glad you did. Ellen B. San Leandro,CA. This pen is the best. As a woman who has never smoked anything and now uses medicinal oils for chronic pain and Lupus. This has allowed me the dignity and femininity I was looking for. Feels light and looks sleek. Quick heat up. Purse friendly and does the work. Thanks so much and do glad you like it ! Thank you and so glad you are happy! Dependable, sleek, easy to use. Bought one for myself and one as a gift for my mom, and we both swear by it! I ordered this pen as a back up CBD pen and it has become my “go to.” I have the older black model as well and also like it. Buttonless, sleek, and discrete. Would absolutely purchase again. Thank you ! So glad you like them! I love my O2VAPE pen. I love the look and design; very sheek and sleek, very clean and easy to carry around. The carrying case was a thoughtful touch. Thank you. I bought three of these pens and gave two away as gifts. All recipients LOVE this pen! Very easy to operate, has a very nice “feel” of quality, as it it were a very expensive electronic device! Great case, easy to keep clean and produces some very righteous vapor! Buy it, you won’t have any regrets! Just bought it and instantly fell in love. My brother in law lent me one of his (black one) while on vacation for 10 days. Great way to apply the need! Quite, odorless and not a huge amount of smoke!